The Senate voted this week to suspend massive pay raises the CEOs of Fannie Mae and Freddie Mac received in July. On Tuesday, the Senate voted unanimously to approve a bill that would suspend the CEOs’ new annual target compensation of $4 million each, capping their pay again at $600,000. In doing so, it would return their compensation to the level set in 2012 following outrage over bonuses paid to executives at the companies, which had been bailed out by taxpayers and were in government conservatorship. 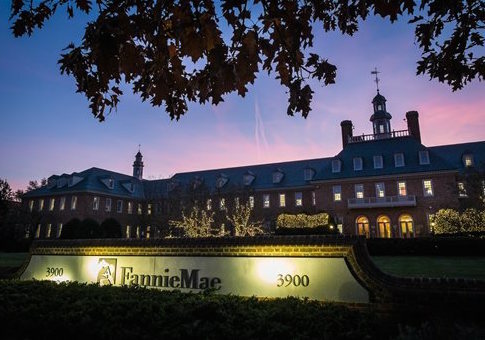 The new pay compensations for Donald Layton, CEO of Freddie Mac, and Timothy Mayopoulos, CEO of Fannie Mae, were approved by the Federal Housing Finance Agency and disclosed in July. Mel Watt, director of the Federal Housing Finance Agency, said at the time that the pay hikes were supposed "to promote CEO retention, allow reliable succession planning, and ensure the continuity, efficiency, and stability of enterprise operations." However, the raises will likely not hold. If the Senate bill passes the House, it will travel to President Obama’s desk. The president will likely sign the bill, as the White House has previously criticized the increases. This entry was posted in Politics and tagged Fannie Mae, Freddie Mac. Bookmark the permalink.